When the WR250R came out in 2008, there was some advertising but not much hype. The model seemed in no mans land. Substantially less powerful and lower spec everything than the WR250F, no racer or ex racer would want that. It was water cooled with a high seat height so it didn’t appeal to the farmers buying the TTR250. Was it a commuter? A single cylinder 250cc trailbike with no windscreen as a commuter? No thanks. The WR250R was a Japanese domestic model in design, that escaped out into other markets. It’s a wholly Japanese built motorcycle, unlike many trailbikes we now see from the Japanese big 4 that have a large content or are assembled in Thailand, so it was comparatively expensive when released. 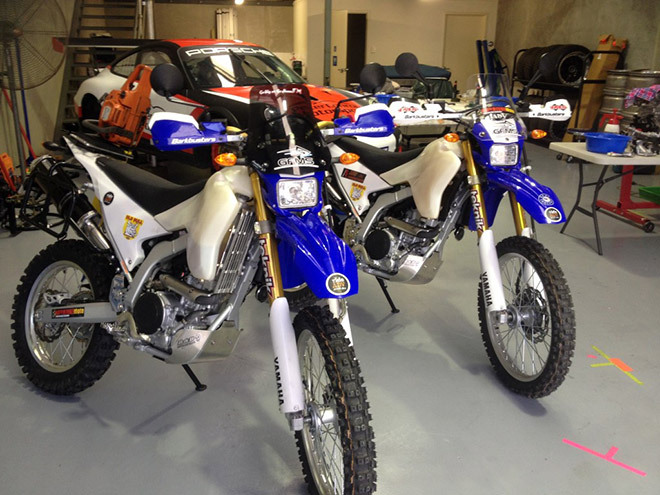 I remember Darren Thompson, Yamaha Motor Australia head tech, discussing the new model with me. He mentioned the oil change intervals Japan designed the engine for were 25,000km(!). YMA ended up knocking it down a little to 10,000km oil changes, valve adjustment at 25,000km. 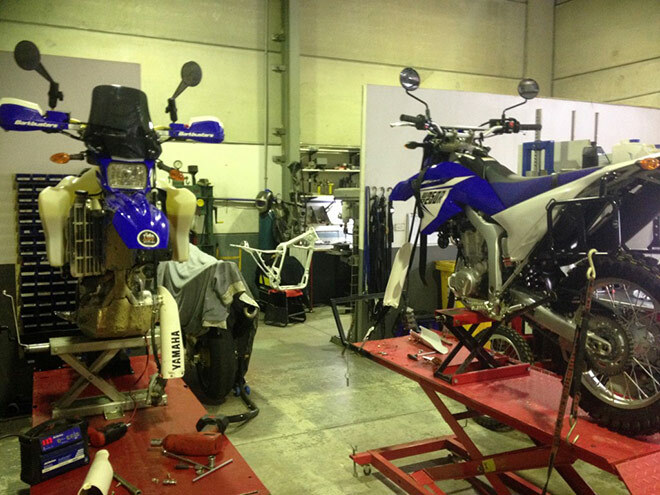 In 2012, RideAdv was using 660 Tenere’s as pre-run bikes. The nature of pre running is exploring trails, trying to join tracks on maps. The 660's were heavy when you get stuck on a hill when the track you thought was there, isn’t there. Greg saw the 250R and requested 2 as pre-run bikes from YMA. A chainsaw (originally out of my shed) was mounted on the back of one and Greg reported back that the bikes were actually very good, but the rear shock was so bad the chainsaw kept falling off. I had worked on a few of them for customers from 2008, with mediocre results. The forks were a 46mm USD KYB that looked like the 1996-2003 YZ units but had cartridges that were the same size as the YZ85, that’s what the YZ range had in 1988. The shock wasn’t much better. It wasn’t a KYB shock, it’s a Soqi, a wholly Yamaha owned subsidiary company that makes suspension units for the more budget models. The shock has a rebound adjuster straight out of my 1983 YZ125K. That may sound dismal, but it’s not. There are very few Adventure bikes with stock suspension componentry I’d describe as anything other than rudimentary. The 250R has fairly old MX technology, but it's advanced from a Trail bike and Adventure bike standing. It doesn’t stop us from analysing the stock components on the dyno and making them perform for a different purpose than the factory ever intended. Years on, and many suspension settings later, we now have a very well developed 250R. The forks didn’t turn out to be a problem with the “little” YZ85 internals, I just needed to mount the forks on the dyno and start working. 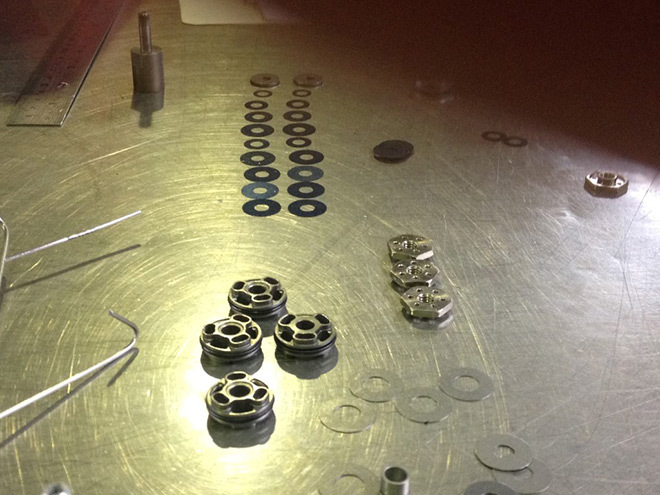 The shock was harder, we tried 2 different main pistons and 30 setting changes in it over 4 years. The problem, in hindsight, was a lack of low speed damping control. Why not just start with a 450 enduro bike? We did that, with three 2017 WR450F’s. Tried to tame them, big tanks, mild mapping, better seats. Were they fun for 3 hours? Yes. Were they fun for 8 hours and successive days? No. Can you compare a hard edged WR450F with a WR250R? Yes and no. They are both blue off road bikes with compliance. The 250R is easy to ride all day and doesn’t need the maintenance schedule a WR-F does. Our changes make the WR250R suitable for all riders that use the WR as anything from a casual trail bike to commuter to a 2 day Adventure Sprint bike. 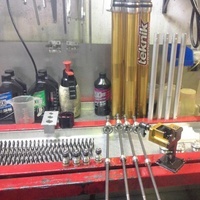 You get a full Fork service and revalve. Plus a full Shock service, revalve and a new shock spring for your weight too. All dyno tested. The 250R already has 4.6N springs. That’s stiffer than a DR650, Tenere 660, KLR650. Its perfect for a big tank with a rider up to 100kg. We can thank the road designation of the 250R for the stiff fork springs. 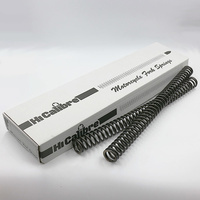 We carry a range of rates for heavier riders in our 19-148 Series Fork Springs. Where do we change the fork then? Big changes to the damping character. We have tried a few different settings with TB and Wulfy but have settled on the settings that were a little firmer, as you tend to ride the bike harder, being low powered and light. We adjust it back a little for female riders or older riders who want more comfort. Not every fork is the same so sometimes we need to change our settings a little to meet the targets. A fork is a bunch of parts that all have tolerances. This can result in “tolerance stacking” where the sum of the in-tolerance parts creates an assembly that needs loose tolerances. That’s no good for us. The dyno doesn’t lie, if we need to pull the forks down dozens of times to get the targets, that’s what we do. We have tested all our competitors products, and we are the only suspension company that uses a shock dyno to develop settings on every customer job. TB has ridden on many sets of forks while we were looking for the right feel to make the WR250R an adventure bike that you can either cruise on or ride as hard as you can, the bike will keep up. Stock suspension is very Japanese trail bike in setup, very soft in the front and stiffer in the rear. Traditionally this is for pillion riding. Surprisingly, most of this softness comes from a lack of dampening at both ends, not soft springs. 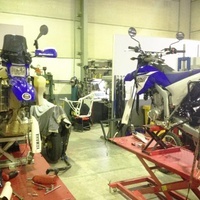 If the rider is under 85kg and carries no gear, we leave the stock springs and just work on dampening. The bikes TB and the RideAdv crew ride only use an uprated shock spring. Want to try one out? We have been developing this suspension package since 2012 with Yamaha Australia and RideAdv on their hire Yamaha WR250R's. The WR250R shock was a real sticking point, and we saw many shocks with different valving settings, Gold Valves, etc, but none were a great answer. The stock spring is 81N - good for 85kg with no gear or two small 55kg Japanese people. We leave the stock spring in for women and light men, but carry a range of rates for the heavier riders. Note that the spring rate has nothing to do with how fast you ride; a spring just supports mass, we do everything else with damping. We found we could run a lot more damping character than stock and it didn’t make the shock harsh, it was the opposite. More damping made it more compliant. We also, like the forks, give the ladies and older gents a softer setting. We modified the rebound adjuster in about 2015 and then we started to get great handling 250R’s. We modify the rebound adjuster in every WR-R shock to get the kick out of it, that's what all the video's you will see on the net talk about. TB has done 8000km in testing so far with no wear issues and no fade. 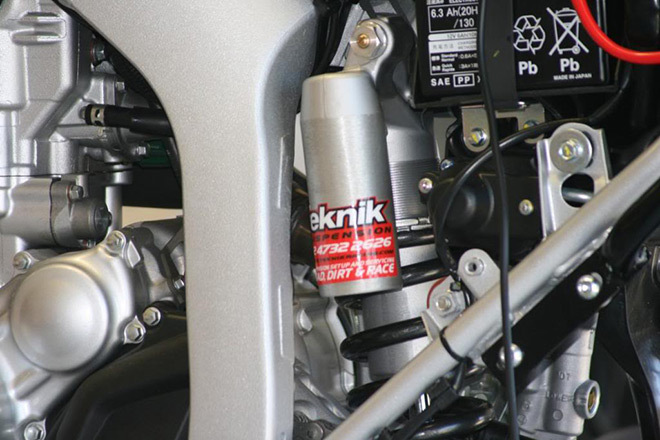 Our shock re-valve solves every problem the WR-R shock has. 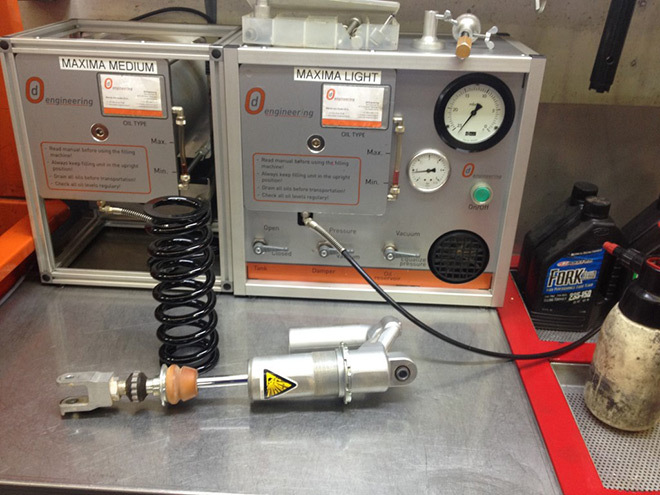 Hundreds of dyno runs on our shock dyno's and thousands of km have resulted in a shock no one else can match. You saw on the net some guy fitted a Gold Valve and says it's great? He doesn't know what great is. The 2017-on model shock has a gold adjuster, and we've developed new settings for it based on our previous work. We experimented with lowering the shock and settled on 10mm lower shock length than stock, that’s 25mm at the axle. It brought stability to the chassis, more traction and no situations where the seat hit you in the arse. We do lower it more if you need it. 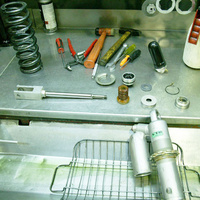 After lowering, we use 20-065 Series Shock Springs, which are a little shorter. 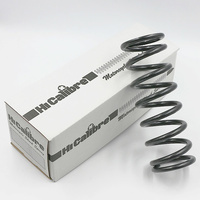 But if you are rebuilding a stock height shock absorber, you will need the slightly longer 20-090 Series Shock Springs. A point to be careful on when lowering WR250R's is the bottom of the shock does run close to the swingarm. Some aftermarket lowering links we have seen make the shock and swingarm collide at half stroke. Shortening the shock can have the same effect. So lowering can be done, 45mm is possible, but you have to know what you are doing.